Seven-year-old Amelia is the youngest of Chris and Kathryn’s three children. This cheerful little girl was diagnosed with high-risk B-cell acute lymphoblastic leukemia two years ago. Amelia has endured frequent medical appointments, chemotherapy sessions and inpatient hospital visits ever since. She has also suffered multiple leg fractures, spinal compressions, cognitive impairment and frequent headaches as a result of her treatment. Despite her exhaustion and stress, Amelia continues to fight with a positive and playful attitude. Amelia is currently being treated at UF Health Shands Children’s Hospital, over an hour away from her family’s home. Keeping up with the household bills has become difficult as Amelia’s list of doctors and specialists continues to grow and her care needs increase. 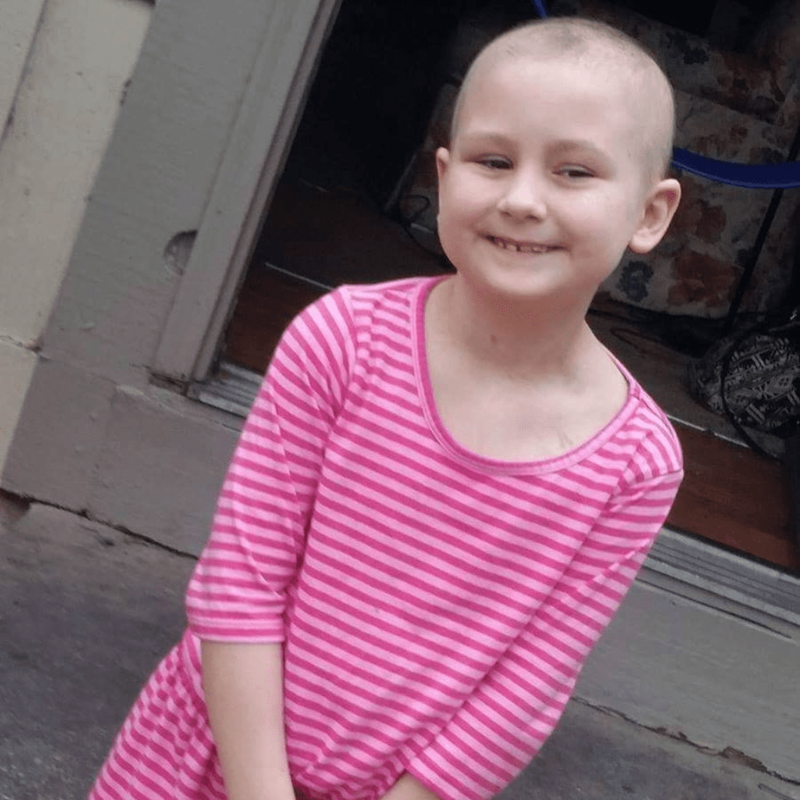 Last month, while Amelia prepared for more chemotherapy and extensive surgery due to her treatment, Family Reach stepped in and provided a grant covering the family’s rent. This provided tremendous relief, allowing Chris and Kathryn to focus on Amelia and also support their two other children. The family was extremely grateful for this financial assistance. “Thank you so much for all of your help and concern for our family,” said Kathryn. Kathryn is excited to share that Amelia continues to make honor roll and was recently presented with the Character Award for her willingness to help and steadfast compassion towards others. Interested in helping families like Amelia’s? Click here to become a Key Holder.